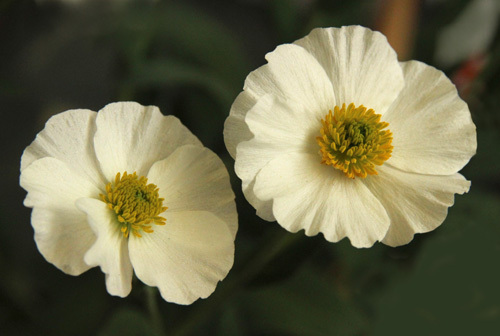 I first got Ranunculus amplexicaulis as seed from the AGS seed exchange. 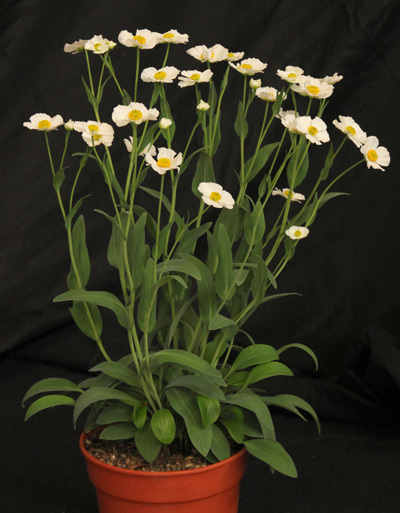 Sown in January, a few germinated and it flowered in the second year, in April - May, with white single flowers and a few semi-double. It grows to about 6 - 12 inches ( 15 - 30 cm) tall. I now sow fresh seed in July, with much better germination. The plant above was photographed at the AGS Dublin Show. 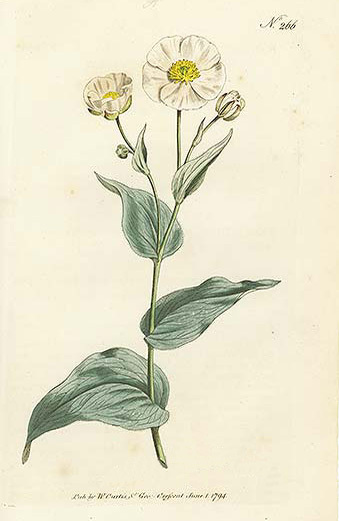 Ranunculus amplexicaulis is an endemic native of the Pyrenees and mountains of Northern Spain, where it is included in the 'endangered list'. It has slender pointed leaves, scapes bearing three to six flowers.